The weekend of 3-5 March brings the Great British Spring Clean (strapline: "It's time to clean up this country! ), a nationwide event organised by Keep Britain Tidy to create a focus on picking up litter from our public spaces around the country. The organisers say, "If 500,000 people help us pick litter for just two hours each, that means that our country will benefit from one million hours of clean-up care." Naturally, the Friends of Three Cornered Copse registered to help with a litter picking event. In the copse this is an ideal time to sweep through the area; the shrubs and bushes and brambles are at their least, revealing the litter that has accumulated through the winter months. Access to the ground in between the dense trees is easier and soon several black bags are filled with bottles, paper wrappers, cans and half chewed tennis balls. Thankfully the end of free carrier bags means there is far less plastic in the woods than there used to be. Although the foliage is as sparse as at any time of year, the green shoots of the floor vegetation are already starting to sprout. The snowdrops, much of these planted by the Friends of Three Cornered Copse several years ago, have been in evidence for weeks now, and one or two clumps of daffodils are starting to emerge. The cow parsley is one of the earliest to emerge; soon a green carpet will cover much of the ground to capture the increasing sunlight before the leaves of the tree canopy develop in the spring. 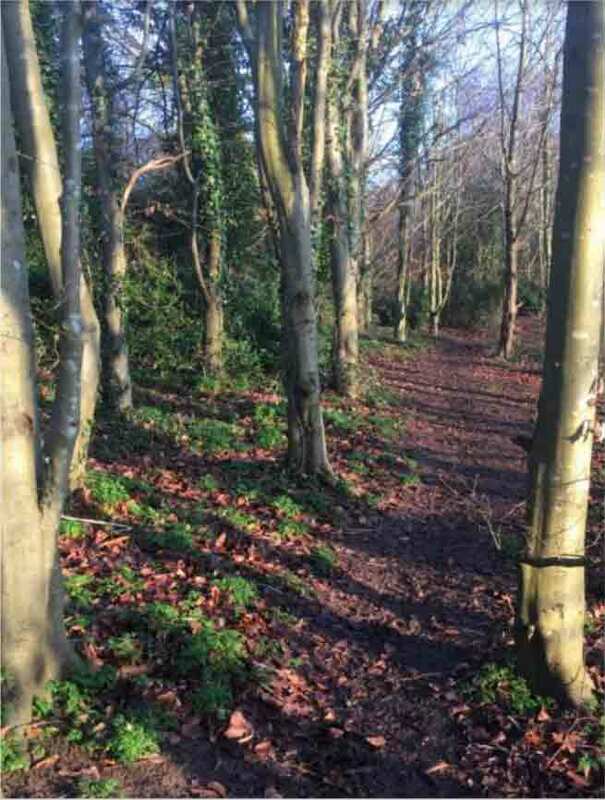 Once again our thanks go to the community payback team, who have been working on clearing the dead wood away from the woodland at the northern edge. Led by our Park Ranger they've continued the work we began in the autumn. It's the muddiest time of the year, and the vehicles can only access a few of the areas near the entrance gates, to bring in the chipper, and wheelbarrows, to cover the new chalk pathways built last year. These walkways have been invaluable; in previous years the persistent mud rendered them impassable. Our next few work days are now scheduled in the calendar. After the Spring Clean on 4 March, we have Thursday 23 March and Saturday 1 April. Our Annual General Meeting will be held on 27 April in the pub previously known as The Poets Corner. All members are welcome.